I’ve been seriously craving some Cantonese BBQ and it’s much more expensive here than in Vancouver. I used to eat roast pork at least once or twice a month! Lucky me… but it’s a different story now. 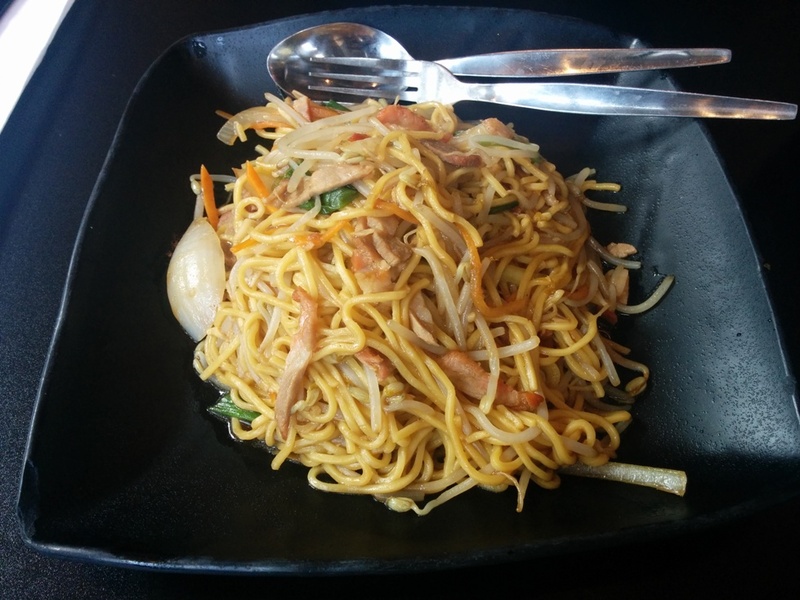 I was really glad I discovered Sun Ming and it’s located right by Westfield mall in Parramatta and near the train station. It looks like your typical HK style cafe with BBQ meat that you can order at the front of the shop. No frills here. 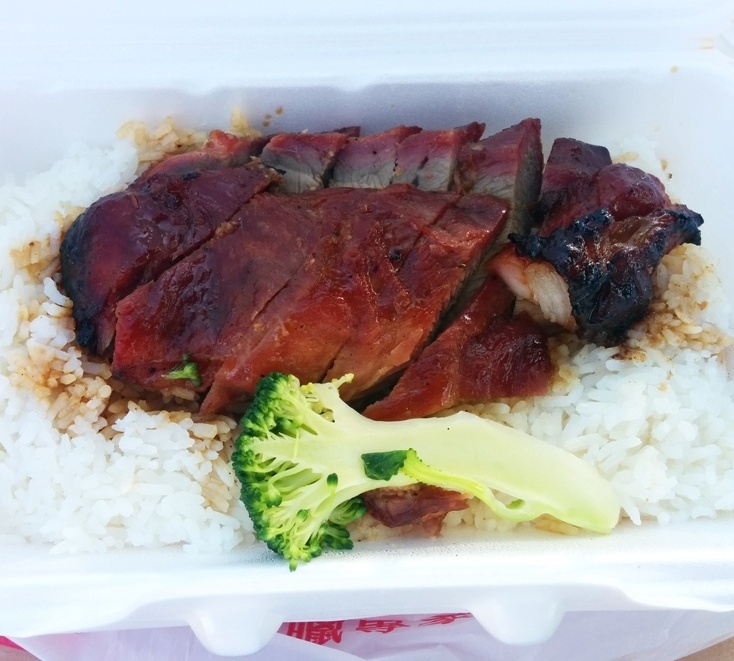 Here we have the BBQ Pork and Roast Pork with rice ($14.80). This is probably the fastest thing you can order as the rice is already cooked and all they have to do is chop up the meat! There are also a few greens on the side to make it slightly more balance but we’re here for the meat! The BBQ pork was slightly sweet and well marbled and the roast pork was also equally well marbled and delicious. The crackling skin could’ve been a bit more crispy but it was still good considering it was the end of the day. Each piece was juicy and satisfied my BBQ cravings! Since we both wanted meat, we also had a plate of just Roast Pork with rice which costs $1 less than the combination above. I would come back to Sun Ming again for their BBQ. I’ve been here once before actually and had some of their regular dishes like baked pork chop on rice which were pretty good as well. 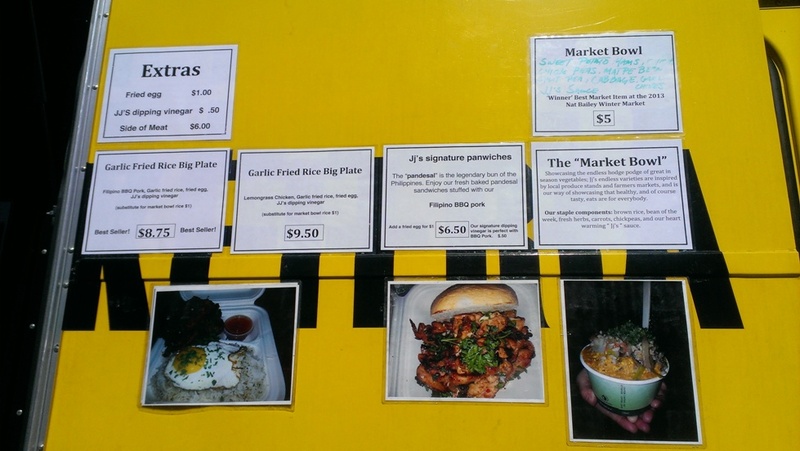 This entry was posted in Sydney Food and tagged bbq pork, roast pork. After seeing pictures of juicy succulent meat from Sean (Sean’s Adventures in Flavortown), I decided I really had to pay HK BBQ Master a visit! Located in the Superstore parking lot in Richmond (the opposite end of The BBT Shop), HK BBQ Master just never really stood out to me. You can choose to have a combination of 1, 2 or 3 items on rice. 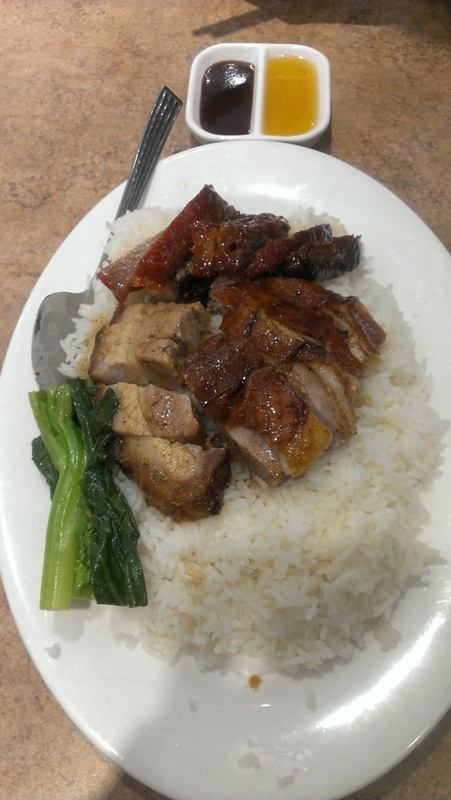 They have the usual BBQ meats such as duck, BBQ pork, roast pork, and soya chicken. 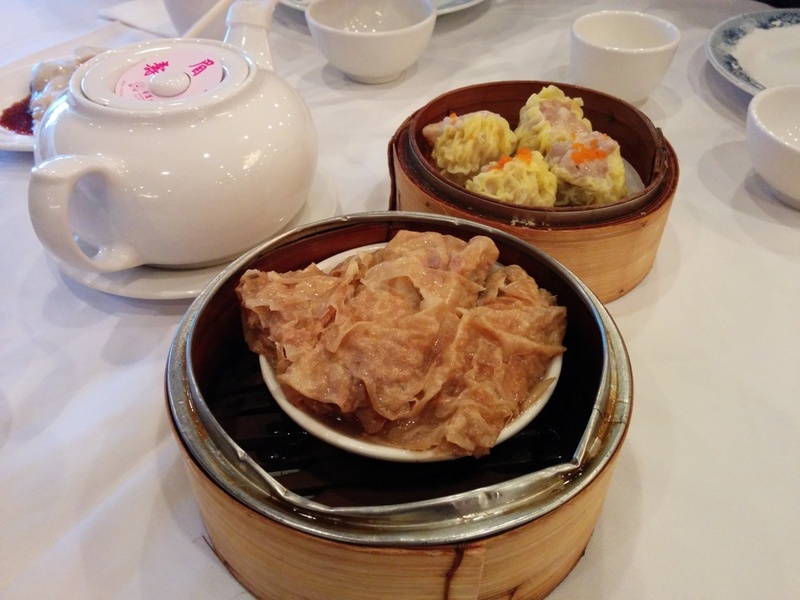 This entry was posted in Asian, Chinese, Food Reviews and tagged bbq pork, roast pork, takeout. Congee Noodle House is super close to my work place and if you want Chinese food, look no further. They also sell BBQ meat inside and it’s conveniently right in front of the 99 bus stop too. We decided to get takeout and they made it pretty fast. This was the Honeymoon Fried Rice. I never knew that was the English name. 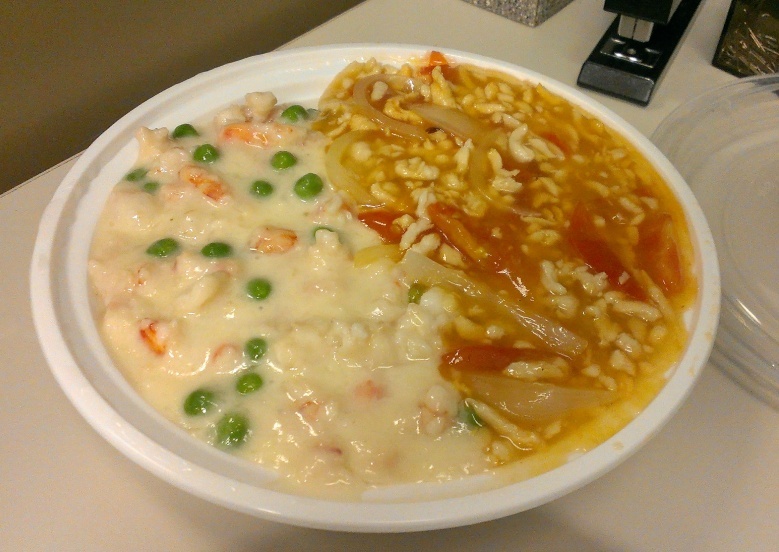 Half is tomato sauce with chicken on rice and the other half is shrimp with cream sauce on rice. Both are pretty good but I think I like the cream sauce better. This was $13.50. 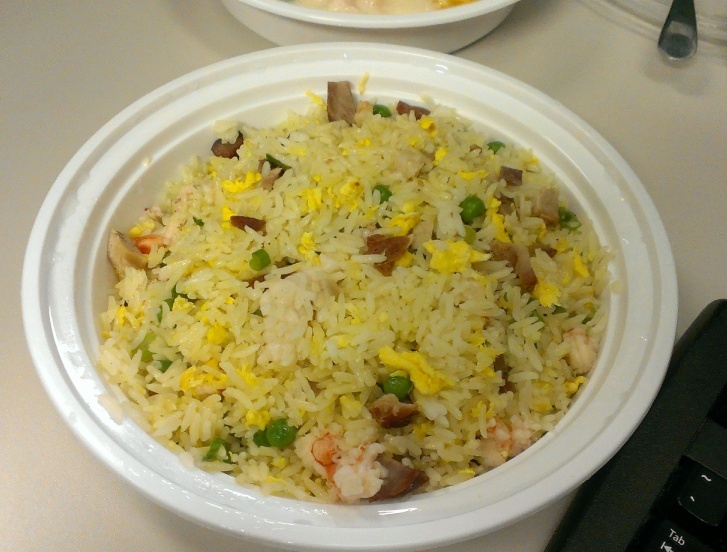 I went for the more commonly found Yang Zhou Fried Rice with diced BBQ pork, shrimp and egg. Mine was a bit cheaper coming in at $1o.50. I was super hungry so I thought it was pretty good and it wasn’t as salty or oily as other fried rice dishes that I’ve had before. Yay comfort food on a rainy day. This entry was posted in Chinese, Food Reviews and tagged bbq pork, Chinese food, fried rice, takeout. I wanted to try Kiriri for lunch on a weekend but it turns out they only serve lunch on weekdays. Boo =( So we just decided to go next door to Master Hung BBQ instead since we didn’t have any other ideas anyway. This was a combo with 3 kinds of meat and you can choose which 3 you want. We had the BBQ pork, BBQ duck and BBQ roast pork (siu yook) served with the usual sweet plum sauce and hoisin sauce (I think that’s what they’re called). It came with a huge portion of rice! It made it look like there was less meat though. The meat had really delicious sauce and the they had the right amount of fat to give it all that flavour. I think the meat definitely lived up to all the hype. It’s hard to go wrong with BBQ meat! 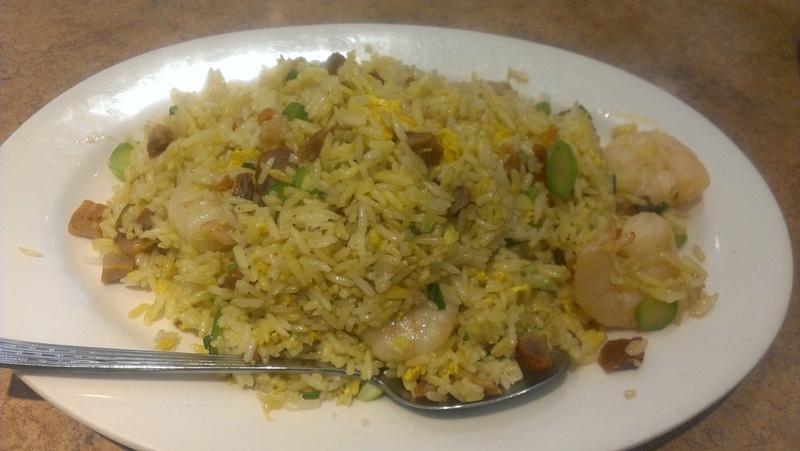 This was the Yang Chow Fried Rice. They had quite a few large pieces of shrimp and there was also BBQ pork in this. It was pretty standard and not super oily. It also seems like it would be a affordable place for a family dinner. 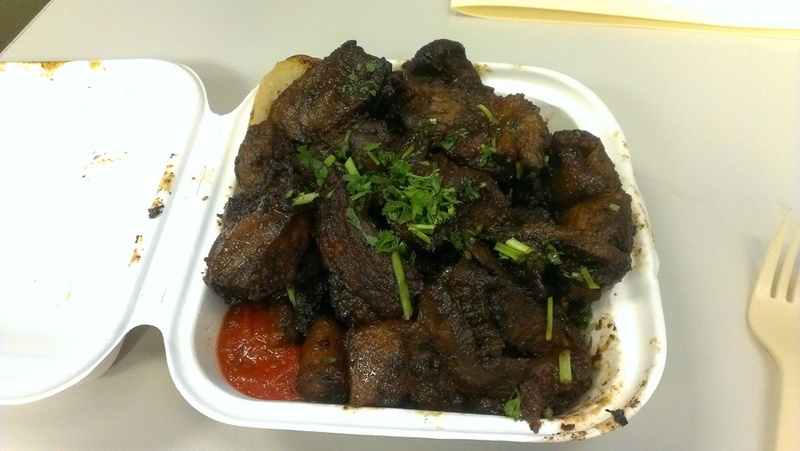 I also ordered some take out BBQ roast pork and it was $12.80? for a box. I think it was a pound? I’m not usually the one paying for our BBQ meat but it seemed a bit expensive. Also it was a little too fatty this time. This entry was posted in Chinese, Food Reviews and tagged BBQ, bbq pork, fried rice.